For the past six months, a common theme I've been discussing is that of value creation and value delivery, what I have learned to be the two core elements of any business. 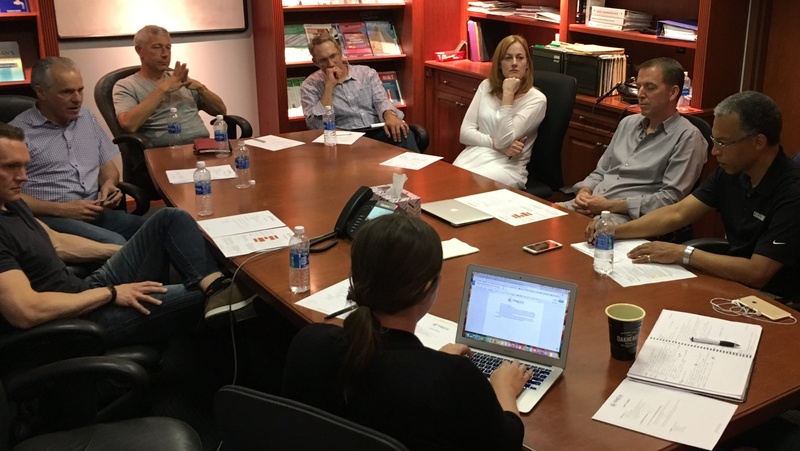 It began with our team's annual planning retreat in January, when we decided that Value Creation Training would be a 2017 priority (our version of "goal" or "objective"). Since then, value creation and value delivery (VCVD) have come up in conversation not only with our team but in several Junto sessions, where our companies have responded positively to the concepts. I believe that it's because VCVD is a simple way to describe organizational structure, prioritize initiatives and daily work, and align a team, ultimately setting a foundation for more effective leadership. Before I get to each of those three areas, I'll start with my definitions. Value creation, which is inward-facing, refers to business functions that help increase the value of the company, most often sales and marketing, product development, raising capital, etc. Value delivery, which is outward-facing, refers to business functions that help provide value to customers, most often operations, production, customer support/success, etc. We've been using VCVD to organize our company even when it was just my co-founder, Catherine, and me. Her primary role was value delivery and mine was value creation. As our business has grown, we've used VCVD as a basis for helping define what roles we needed to hire for, whether it was short-term, part-time help or permanent, full-time positions. Today, we don't use a typical organizational chart to articulate how our company is structured, mostly because we're fairly small and quite flat. Instead, we've adopted the following chart to communicate our organizational structure, showing that VCVD are equal parts of the whole, the yin and yang of the business, and the main functions of the company (represented by the white and gray circle while support functions are in the outer orange ring). 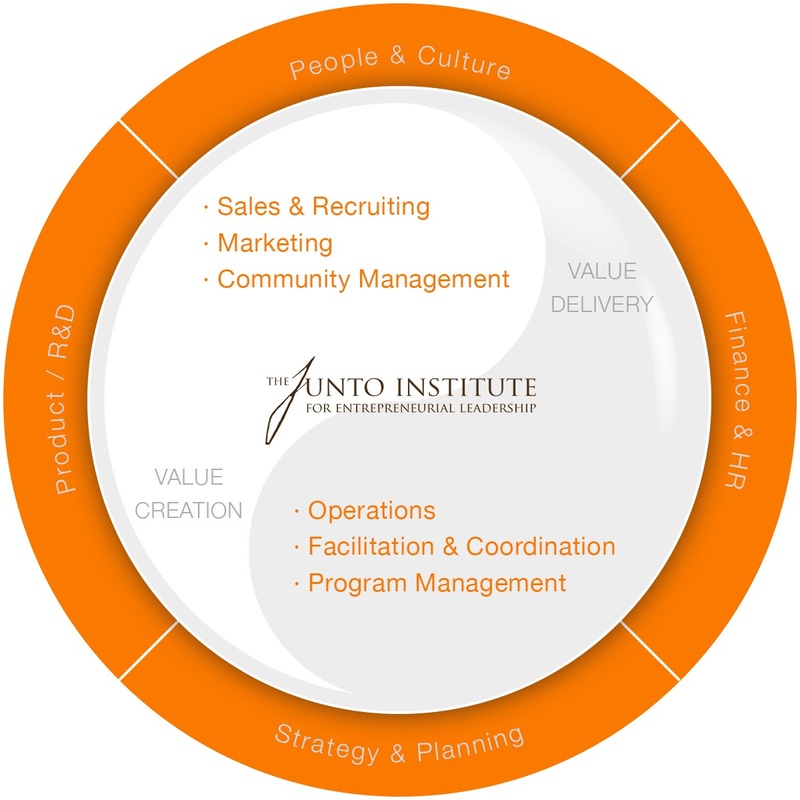 In two specific Junto sessions this year with companies in our current program, we've used the concept of VCVD to help illuminate their unique organizational structures. In one, an e-commerce company with 30+ people had a conventional organizational chart with the main functions of marketing, product management, technology development, customer success, finance, etc. Upon discussing the chart and how the functions reported to its executives, we noted that there was some incongruity with VCVD. As an example, the marketing function reported to the COO whose primary role is to manage the operation, rather than the CEO whose primary role is to grow the company. 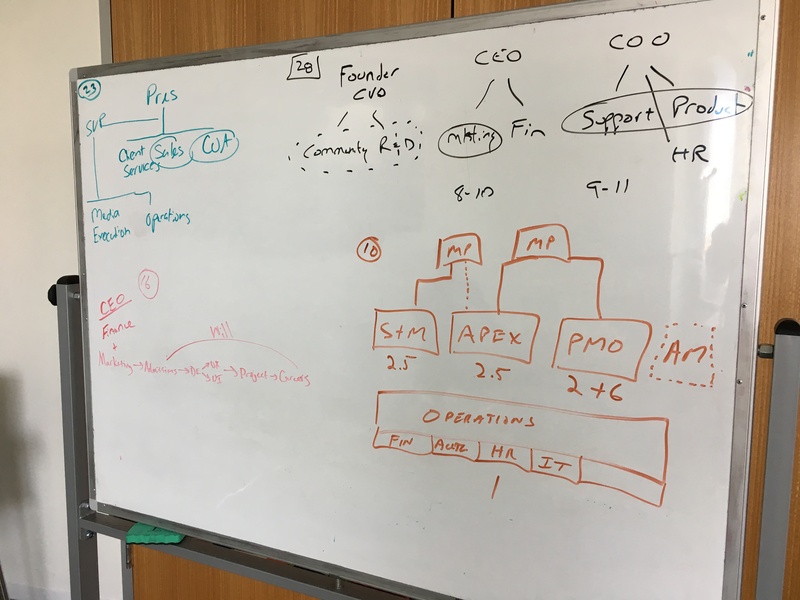 By having this discussion, the company updated their org chart and reporting lines to better align with related functions, executive roles, and management capabilities. In the second session, a services firm with 10+ people shared an org chart defined by their customer's journey: marketing and sales, followed by specific training sessions, consulting engagements, and then account management (all of which are supported by administrative operations). Here, we were able to define the start of that journey as value creation, with value delivery in the middle, and then value creation again since, for their company, account management loops back to sales and marketing. In another Junto session, a company's leadership team was discussing a challenge they're facing with rapid growth: having too much to do with too few people. The company's Mentors shared a variety of experiences with how they handled hectic times: delegating projects and tasks, hiring executive assistants, relying on standardized processes, and taking calculated risks knowing that sometimes they would fail. I then shared that because our business is structured by VCVD, we use the terminology to prioritize our work when necessary. If we're feeling overwhelmed during a busy period, we're able to step back and ask, "what is most important right now, value creation or value delivery?" And if we're in a slower period when we're working on projects, we can take more time to think through how to prioritize them and plan out their implementation. In either scenario, the VCVD framework gives us a starting point to focus the team's attention, helps build a more team-oriented culture, and helps ensure we do what's in the best interests of the business. One of the questions we've heard several times in Junto sessions is how companies can maintain alignment between the sales team and the production/delivery team. In our experience, the two groups often become siloed as a company grows, focusing primarily on their own priorities with decreasing interaction between them. We've heard about sales teams who became frustrated that production couldn't deliver on what was sold or that customers were to turning to salespeople for service and support. And we've heard of production/delivery teams who became frustrated that sales overpromised on what the company could do, underdelivered on new business, or generated more business than could be feasibily delivered. Essentially, what is happening is finger-pointing based on what each team does or doesn't do, and a resulting lack of empathy. But by using the language of value creation and value delivery, the conversation shifts to why each team does what it does, how the two parts of the company are symbiotic, and a greater appreciation of each one. Like many companies, most of our team's time (collectively) is spent in delivery and production. And as we grow, it's likely that most of our team members will be in delivery and production. Because of this imbalance, we wanted to foster a greater understanding of the value creation concept and process. Back in January, during our strategic planning retreat, our team agreed that we wanted a growth-oriented culture. It fits with our vision and mission, and supports the fact that we focus on growth-oriented companies. So the question we faced was, how do team members who are primarily involved with value delivery gain a deeper appreciation of value creation in our business? Furthermore, how do we ensure that team members involved with value creation understand that we must do an effective job at delivering value to keep the proverbial flywheel spinning? Our answer was making Value Creation Training a priority for 2017. So far this year, we've held three lunch-and-learns with our team discussing what value creation is, how we do it at Junto, and what opportunities we have for building more value in the business. We have two more sessions planned for the second half of 2017, when we will discuss how value delivery in our business affects value creation. Our intention is that these conversations contribute to a foundation of alignment between the two parts of our business, as well as a growth-oriented culture.